Door handles with a twist 4 pieces of 5/8" bar 14" long. hinges along with door tracks. Just like a puzzle, except we make the pieces fit. Here is the beginning of some door handles and barn door hinges along with door tracks. 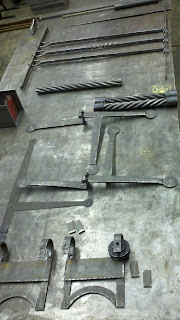 Unique blacksmithing and metal work emerges from Hunterdon County NJ, through Braddee Metal Works and Design. 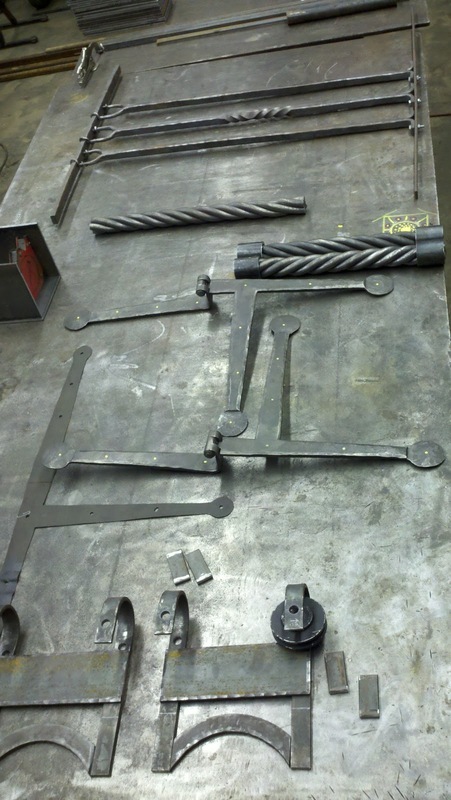 Blacksmithing has been a dying art, but not anymore. 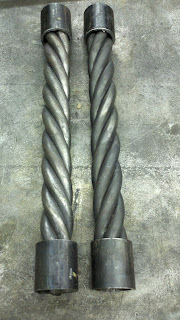 We have taken old school blacksmithing, blended it with new methods to create a new artistic twist. 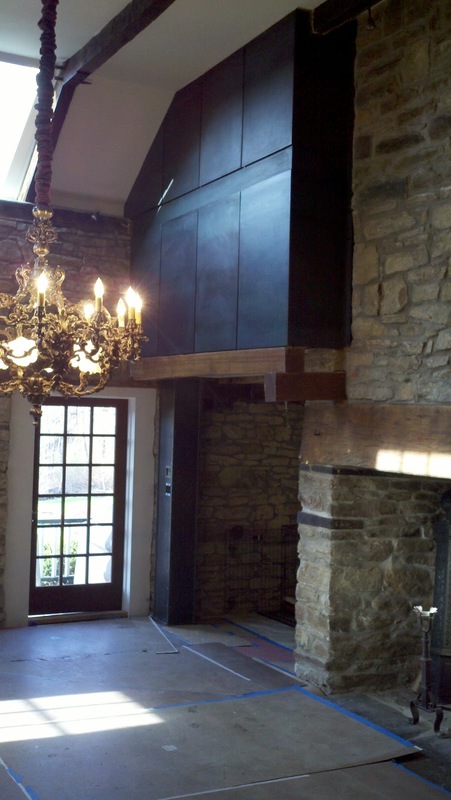 We specialize in traditional and contemporary hand hammered iron and metal work. We can maintain the historic value or add an artistic flair to your home. Blacksmiths have been making useful and beautiful pieces since the beginning of time. Everyone thinks blacksmiths only shoe horses, and some still do. The Artisan Blacksmith shapes metal into whatever you can possibly imagine. If it can be formed from clay, it can be forged from steel. Follow the photos on the website to see things more interesting than shoeing horses. shrimp, Hot wings Real men food. Start of a new project. 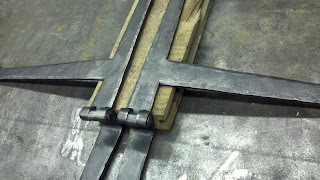 Gable door hinges.